Multiple devices connected to the Internet at the same time will create a slow Internet speed, especially if the devices are wireless. This is a relatively new problem for households, as families are becoming increasingly connected to the outside world. The total amount of bandwidth entering a home is 100 percent. No matter what the speed is, its total is still 100 percent. If one device is sucking up 50 percent of the bandwidth to download a movie, the remaining 50 percent is all that’s left for all the other devices in the home. This can create a bottleneck effect. Verizon reports that by 2016, the average number of Internet-connected devices in the home will reach at least 11. The need for bandwidth in the home is increasing, and it will become the consumer’s responsibility to learn what these devices are capable of. 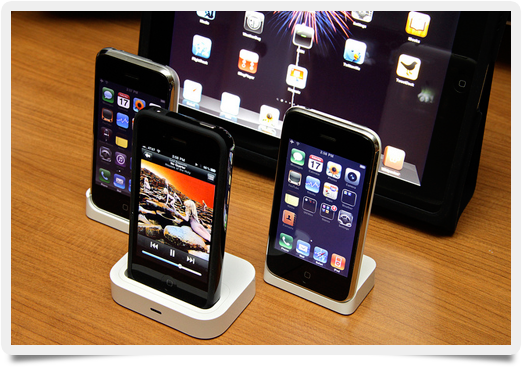 Each device is capable of using a specific amount of bandwidth, dependent on the hardware within the device. Computers and laptops can grab all the bandwidth, depending on their network adapter. Gaming systems can use a full 100 Mbps by themselves, while a smartphone can utilize up to 40 Mbps. Wireless connections take away from your overall bandwidth. Air is not conductive, and up to 50 percent of the bandwidth can be lost through a wireless connection. Of course, this can be helped by placing your router in an ideal spot. Using a wired connection to your modem also ensures a better broadband speed. One process that uses a heavy share of bandwidth is streaming video. Some services allow you to download the entire movie before viewing rather than having it download progressively as you watch. Downloading the movie and then watching it frees up the bandwidth for other users across the home. Some homes have added a second line. This may be a way around the bandwidth problem if your household is a heavily connected, but the costs may not be worth it. Slow Internet speed is steadily becoming more of an issue, and there is not much Internet service providers can do to keep up. It may be prudent for consumers to look before they leap. The smart refrigerator or washer and dryer that connects to the Internet may be too much for your home, at least at this moment. It is time to start doing the math and find out what works best for your family.